Far-out adventures are easy to imagine with a galaxy mermaid doll tail set sized just for fashion dolls! Limited Edition set fits 11.5-inch dolls and includes tail and top. Doll not included. Visit the outer limits of your imagination when you dress your fashion doll in Fin Fun’s galaxy doll tail set, Lunar Tide. 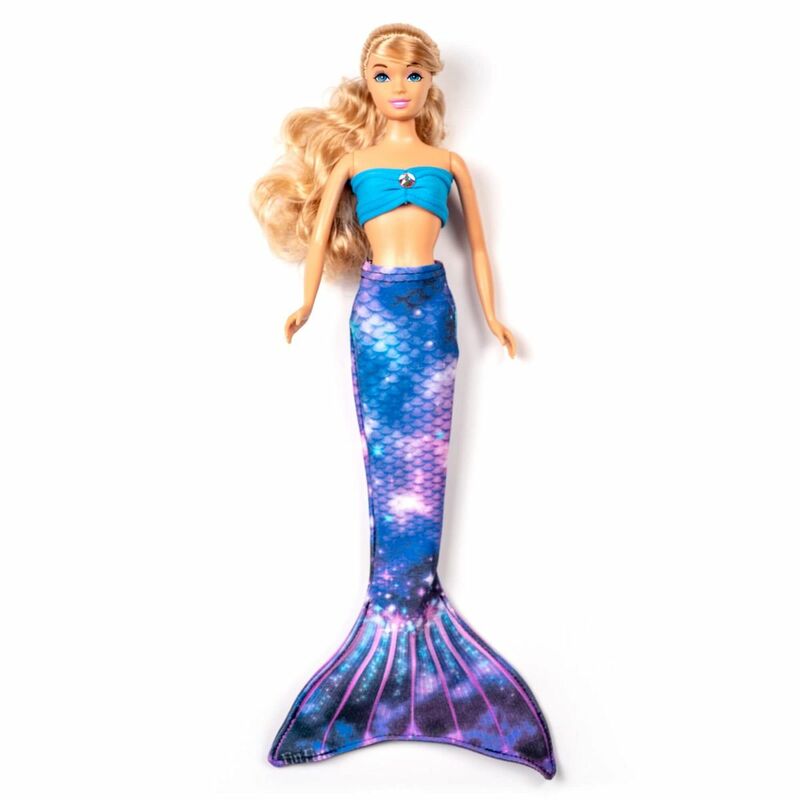 Featuring the same swimmable fabric as the full-sized collection for kids and adults, our mermaid tails for fashion dolls transform moments of make believe into pure magic! This two-piece set includes the Lunar Tide mermaid tail and coordinating sky blue bikini top with accent jewel.